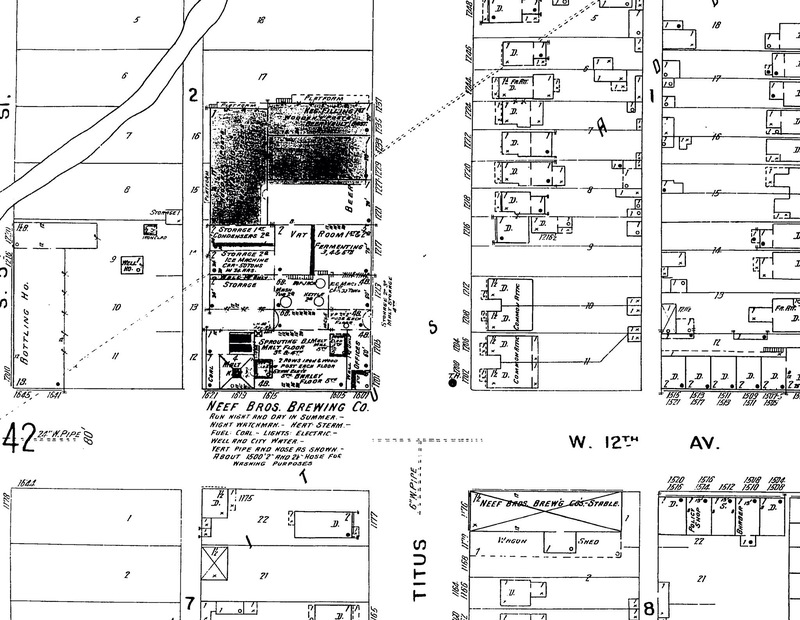 A few blocks west the tracks, at the corner of 12th and Quivas streets there once stood a successful brewery. Much like the neighboring Tivoli Building in Auraria, it’s towering presence would have been seen from all directions as a landmark of young Denver’s industry. It was an impressive structure, with four stories nearly occupying half a city block. The brick building had the architectural features one might expect of the Victorian era, such as finials, slab sills, arched windows and a weathervane topped tower to anchor it to the corner. It had a convenient source of water from Lake Archer to the south and good access to the surrounding railroads. The brewery may have even had a spur that connected to the tracks. 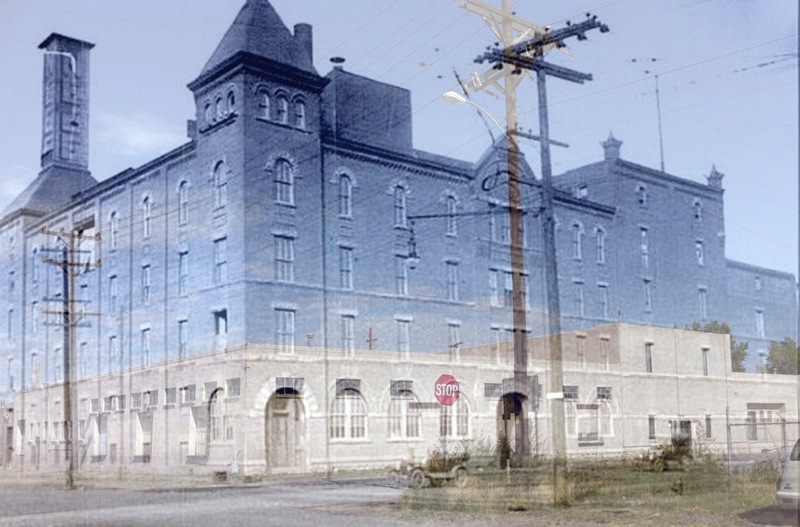 In 1898, the facility possessed the capacity to brew 75,000 barrels a year, had two ice machines capable of producing 85 tons/year, as well as a substantial bottling house. The brothers Neef, Frederick and Max, came to Colorado in 1872. Like many of their time, they were tempted here by rumors of gold. And, like many of their fellow Germans, the Neef’s soon found their background in beer could be quite useful in Denver. They first started with a wholesale liquor and cigar business, located downtown on 15th Street. Next, they opened a saloon and found the liquor retail business brisk. They soon expanded again, and Neef Hall was erected on 15th between Market and Larimer to house a saloon and dance hall, with rooms for rent above (see Colorado Historical Marker- 1500 Market Street Block). Max ran the establishment while Fred worked as foreman for Zang’s Brewery. In 1891, they sold the saloon to buy the Western Brewery at 1201-19 South Fifth Street (now Quivas Street) and the Neef Brothers Brewery was born. Gold Belt Beer, The Bohemian Girl, and Red Cross Malt Tonic were all popular brands brewed right here in Lincoln Park. 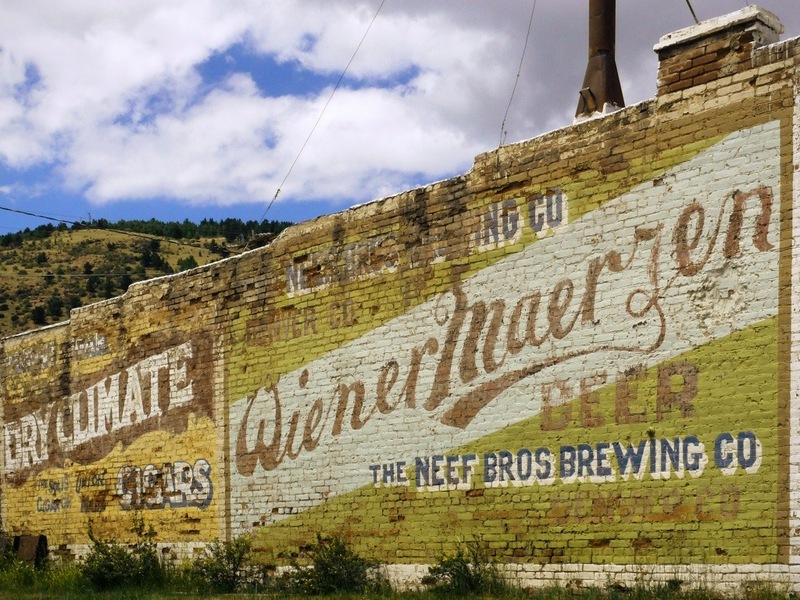 In fact, Neef’s Weiner Marzen, “The Beer that will make Colorado Famous,” was delivered to saloons throughout the state, as well as to Utah, Wyoming, New Mexico, Kansas, and Nebraska. Unfortunately, when Colorado passed prohibition in 1914, Max and Frederick’s beer business faltered. Their near beer product, Snappy, was a “non-intoxicating, refreshing, healthful beverage,” to be sure, but provided insufficient sales to keep the operation going. The brewery was closed in 1917, and Fred decided to retire. 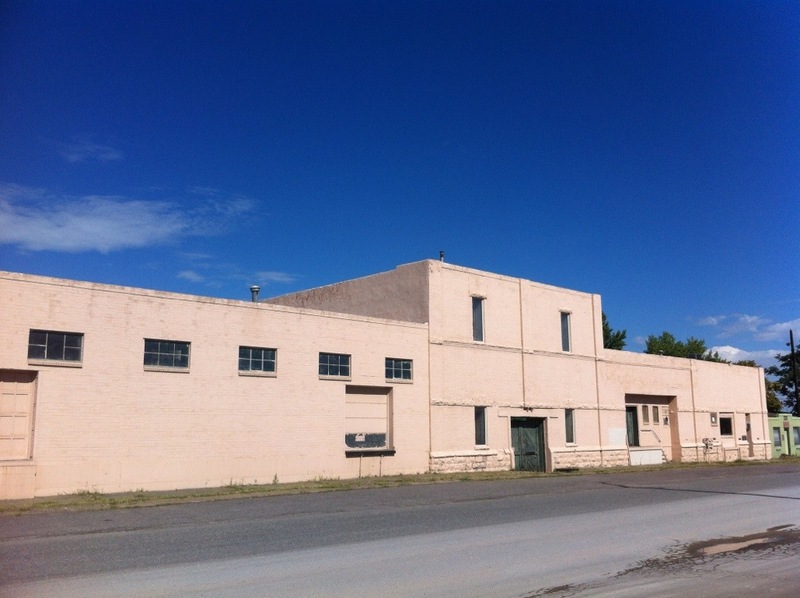 Today, remnants of the former building still stand, joined with more recently constructed warehouse space.